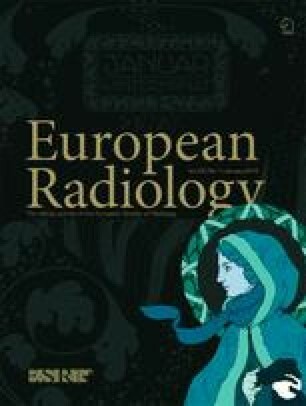 To evaluate retrospectively the diagnostic yield, safety, and risk factors for diagnostic failure of computed tomography (CT) fluoroscopy-guided renal tumour biopsy. Biopsies were performed for 208 tumours (mean diameter 2.3 cm; median diameter 2.1 cm; range 0.9–8.5 cm) in 199 patients. One hundred and ninety-nine tumours were ≤4 cm. All 208 initial procedures were divided into diagnostic success and failure groups. Multiple variables related to the patients, lesions, and procedures were assessed to determine the risk factors for diagnostic failure. After performing 208 initial and nine repeat biopsies, 180 malignancies and 15 benign tumours were pathologically diagnosed, whereas 13 were not diagnosed. In 117 procedures, 118 Grade I and one Grade IIIa adverse events (AEs) occurred. Neither Grade ≥IIIb AEs nor tumour seeding were observed within a median follow-up period of 13.7 months. Logistic regression analysis revealed only small tumour size (≤1.5 cm; odds ratio 3.750; 95% confidence interval 1.362–10.326; P = 0.011) to be a significant risk factor for diagnostic failure. CT fluoroscopy-guided renal tumour biopsy is a safe procedure with a high diagnostic yield. A small tumour size (≤1.5 cm) is a significant risk factor for diagnostic failure. • CT fluoroscopy-guided renal tumour biopsy has a high diagnostic yield. • CT fluoroscopy-guided renal tumour biopsy is safe. • Small tumour size (≤1.5 cm) is a risk factor for diagnostic failure. The scientific guarantor of this publication is Prof. Susumu Kanazawa, Department of Radiology, Okayama University Medical School. Institutional Review Board approval was obtained (approval no. KEN1701-509). Ninety-six of the tumours were included in a previous publication in which we reported the value of percutaneous biopsy of renal tumours in patients referred for cryoablation (Minim Invasive Ther Allied Technol 2017;26(2):86-91). Their follow-up data were updated for this study. The present study differs from the previous one in that the cohort was confined to procedures performed only under CT fluoroscopy guidance.